Do you not want the hassle of bus transport to the ski slopes? That this is the apartment for you. You are within a few minutes on the slopes! Your car can be so on the covered parking let staan.Er are two bedrooms and there may be another two people sleep on the sofa. The view is beautiful, as it is a ski locker on site overlooks the southeast facing balcony on the vallei.Natuurlijk, for your convenience, there is an electric blind. The open kitchen is fully equipped including a dishwasher and oven.De ski resorts of Courchevel fall into three districts. Courchevel 1850, with its own airport, known as the meeting place of the international jet There are many new Russian chic spotted. 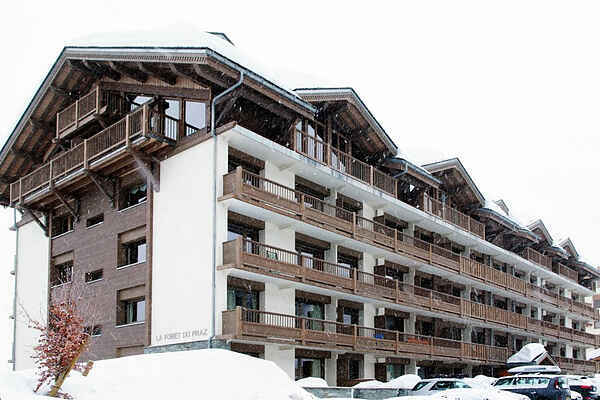 Spacious wooden chalets in a wooded area alternate with starred and mundane winkels.Courchevel is a nice base for the slightly advanced skiers because the slopes above the village are generally slightly flatter than in the other villages of the Three Valleys. This also makes it a great area for families. You will find both luxury restaurants for the jet set as normal restaurants where you can dine excellently.